Thom and one of our volunteers, Matt, addressed students at the Townhill Campus who are on a counselling course. During the event they spoke about the need for genuine relationship, regular connection and dignity. Four of the attendees even signed up to become Friends of Matthew’s House. We are grateful for such opportunities to raise awareness, but also thankful for the encouragement and support we receive in return. The past 18 months has felt like 0-to-100mph. It has been hugely successful, rewarding and for many people life-changing. 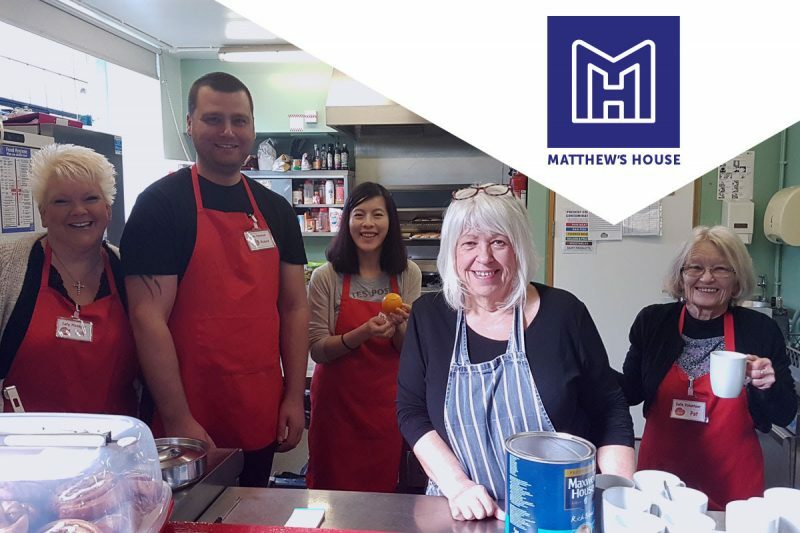 One of the most satisfying things has been the army of volunteers, supporters and Friends who have become one massive family ‘living’ within Matthew’s House. We love it! It has all been achieved with a single paid part-time project manager, who also volunteers hours and hours to make things grow and work. Thom is an incredible guy, with enthusiasm that seems to know no bounds. However he, like everyone, is human and we need to ensure that he ‘paces the race’. With this in mind the Leadership and Trustees decided that we would seek to employ a part-time project co-ordinator to relieve some of the pressure on him. It would be a dedicated role to support Thom in his Project Manager capacity. We discussed extensively as to the best approach of finding the right person: How much or widely do we advertise it? What are the role requirements? etc. We knew that the successful candidate must understand Thom’s style, match him for energy and commitment, and grasp the critical nature of the role’s objectives – as the header says – helping Thom not just survive but thrive! With this in mind, we felt that it was appropriate to start our search amongst Matt’s Cafe volunteers. We also limited our initial effort to those volunteers who have operated in Matt’s Cafe for more than six months (as of March 2018). Limiting the search criteria was a tough decision, but we felt this struck the right balance. We were still amazed how long the list was, and we had numerous expressions of interest and applications. Last week we completed the final stage of the process and have been humbled by the calibre and attitude of all those who considered, applied and were interviewed for the post. 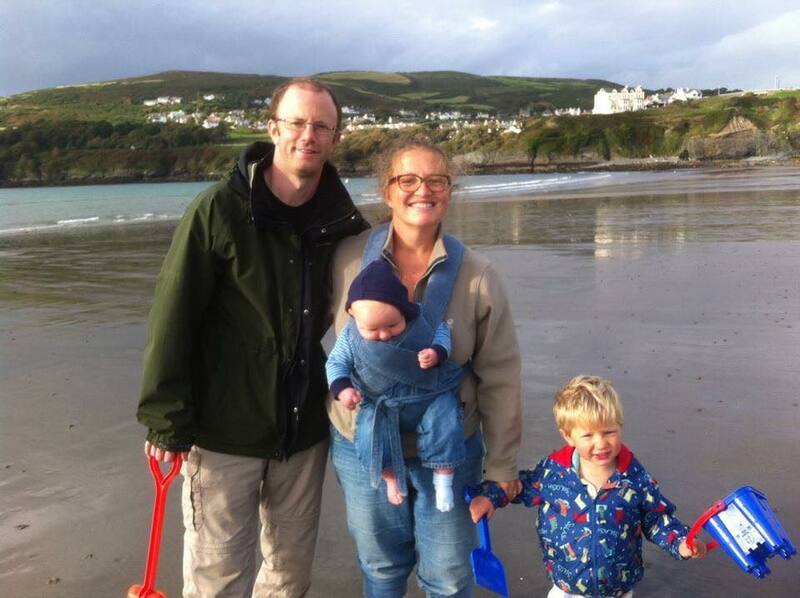 We are pleased to announce that with effect from 1st May our new part-time co-ordinator will be Ellie Phillips. Ellie has enthusiastically volunteered, raised funds and the Matthew’s House profile for some time. She has been an advocate for the art wall, cafe and Homeless Period project. Recently, she has completed a short tour on a social action project in Zambia. This appointment is vital for our long-term success. We are volunteer-driven and want to say thank you all for everything you all do! You really have been awe inspiring and our growth and impact in the city has been because of you and your dedication to Matthew’s House. Thank you for every hour you have dedicated to the cause, for every pound or penny you have raised or donated, for every Friend you have recruited, and for every smile and encouragement you have given! It means more than you know. Record breaking is becoming the norm! The first week of this month saw us set a new record of meals in one day. 152! This news continues to take us by surprise. It is very motivating to our teams, but it is also very sobering that the demand is increasing. In the second week we matched that record again, and then in the the third week it rose to… 169 meals in a single day! The total for that week’s hours was 430 meals over 3 days. That is a lot of intercepting, collecting, prepping, cooking, serving and hospitality! All done by volunteers. Amazing! We love our motivated, reliable, consistent, joy-giving volunteers. Somebody recently asked how they could best encourage our volunteers. In one respect, the answer is to become a Friend. However, words are also very powerful. If you would like to send a message of gratitude and encouragement to our volunteers please email Thom@matthewshouse.org.uk who can share this directly with the teams. This was completed last week and we have already used it for several meetings. It is a lovely small and personal space. When someone enters it as a guest, it tells them that we care. It says they are welcome, that they matter, that they are a human being and are worth the effort. It has provided us with a room where we can develop more support and friendship to the most vulnerable. With the support of the store management at Tesco Llansamlet, their Community Chamption, Gillian, brilliantly led the refurbishment. It all started in January when they approached us with a heart to help with more than just food. They wanted to own a project, make it happen from design, to fitout, to completion. We had always planned to sort that room out and make the Cwtsh happen, but their generosity meant it has happened a lot sooner. Click here for the article on Wales Online. We made ITV news… for all the right reasons! Broadcaster, Andrea Byrne, and her crew pop in and say hello. 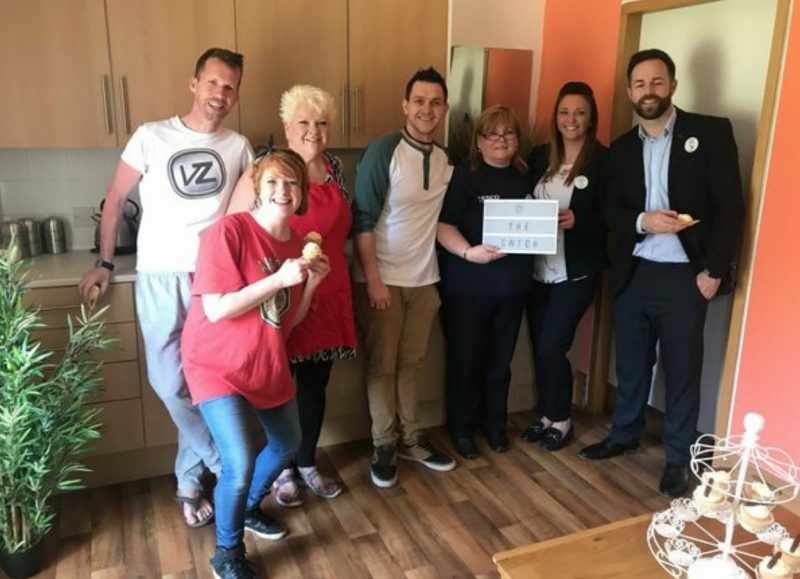 The team from ITV News Cymru recently contacted our Leadership team and asked about the work and ethos of Matthew’s House. This led to them visiting, interviewing guests and giving us a prime slot on the news a few weeks ago. Hopefully will have a copy of that clip soon and we will share it with you. People often ask ‘what can I do’ to help Matthew’s House? The single biggest difference is not a large one-off gift, but rather a regular long-term smaller gift on a monthly basis. This helps us plan and make the most of what we have. We call these committed and generous folk Matt’s Friends (Obviously we never turn away large gifts either!). In this last month we grew by 6 friends, and we are so grateful to all those who stand with us this way! Please continue to share this means of supporting us. Click here. These are common sayings by the leadership at Matthew’s House. One of our recent guests, having not long left prison, was on a tag. He always came to Matthew’s House for food and left with a smile. He was always polite and very grateful for our hospitality. One Sunday evening he turned up in ‘bad shape and under the influence’. A couple of volunteers helped him to a chair and gave him a hot drink and sat and chatted with him for some while. They were also aware that he was in danger of breaching his curfew (due to the tag). They encouraged him to begin the slow walk home, ensuring that he understood that breaching it would not make his life any easier. The next day he came in and he was so thankful for the support that he stayed most the day and chatted about the difficulties he’s going through. He even left us a note to share his love and gratitude to our project. Volunteer Thank You | Steve and Richard | Superstars! We like to give thanks where it is due! Steve Tanner and his nephew Rich Walters are two fantastic volunteers of ours! They have relentlessly given up so much time to Matthew’s House and have both been a regular fixture on our Cafe team for a very long time. Publicly we want to thank these two generous hearted guys for their help and support. He did ask us to say this at all, but Steve runs a company called Swansea Home Improvements. They have been brilliant to us and are always ready to help! If you need a kitchen, Steve is your man! This campaign was an amazing success. We had 15 brave souls (aka supporters) take the plunge and set-up to sleep the night at the Tesco car park in mid-February. All of them were stars under the stars! The temperature plummeted to below -4 degrees centigrade. That is cold! But the fundraising rocketed to something close to £7,000. Amazing. We are so very grateful! The staff and pupils at this school are amazing. 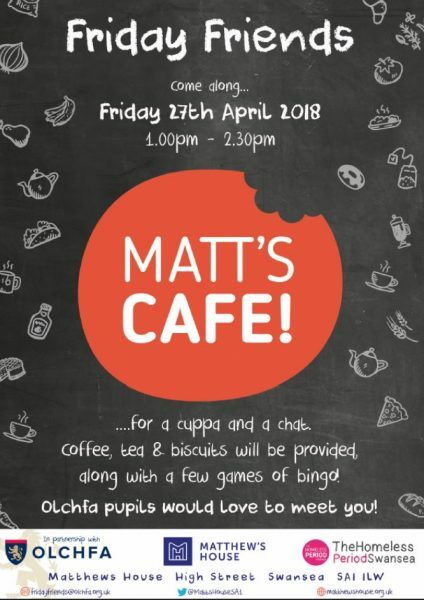 For the past year we have developed a growing friendship with them, and have been encouraged by the way that the pupils themselves have engaged with Matthew’s House. They have raised funds and allowed us to share to each year group about homelessness, dignity and the priceless value of people. This then developed into a conversation about them doing more. A meeting took place with Olchfa Student Voice, who had lots of questions, ideas and vision for making more of a difference in the heart of Swansea. We are now trying to launch Friday Friends with the school. This is on a Friday (obviously!). It is once a month from 1pm to 2.30pm. It is aimed exclusively at people aged over 60 years of age, particularly those isolated by their circumstances. Students from the school will be brought to Matthew’s House, and provide entertainment, service and encouragement. The aim is to relieve the hardship of isolation that so many people can feel, particularly the older generation. We often don’t know the value of friendship until it is not there, and this expression at Matthew’s House is to give a taste of what some are no doubt missing. And so the gardening portion of Serving Sunday was cancelled due to the weather but the fundraiser still went ahead. It was a really successful event, with lots of people chatting and getting involved, both Gracechurch people and those from the local community. There were lots of different tables to use including face panting, nail art, crafts, guess the weight of the cake, and a quiz. So much cake was bought and consumed and about £200 was raised for the children’s ward at Mukinge Mission Hospital where Phil and Cath Wallis are serving in Zambia. Thank you to everyone who brought cakes and biscuits, and other things to be sold to raise money. And thank you to everyone that bought anything. This money will be greatly appreciated to buy toys for the children that are in the hospital. On Saturday 9th June, Carole Wilthew will be coming to present a workshop called Building a Joy-Filled House of Prayer. It will be an afternoon of exploring our high privilege as partners with God in bringing heaven to earth through our prayers and intercession. This will be a joy-filled day with plenty of space to encounter God, be equipped in prayer and go home changed. 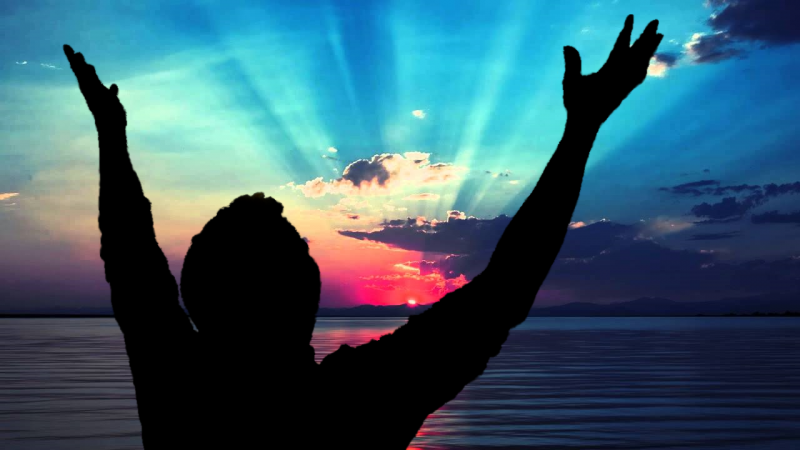 If you want to build joy-filled cultures of prayer, come expectant and God will fill you! Hosted at New Song Community Church, Broad Street, B61 8LW from 1:30pm to 5pm on Saturday 9th June. We have so much to celebrate! Join us today, 3:30pm at the Methodist Centre, to celebrate this world, history and future changing event. 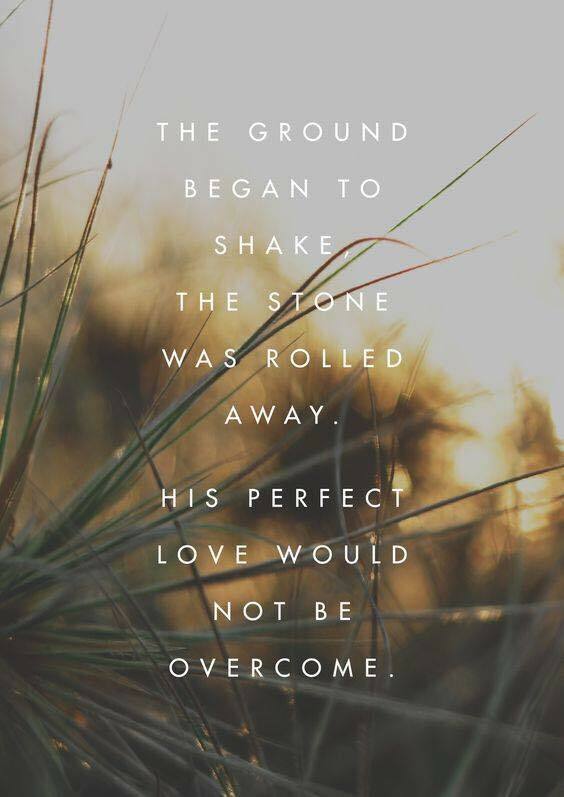 He has risen! Sing loud today, Church. Wherever you are, sing loud! We love flexing our serving muscles (and having a laugh along the way!) so we didn’t meet in our usual spot on Sunday. Instead, we met up on Saturday 1 April to serve the fab guys at St Andrews church by painting, laying wood chip and having a natter. 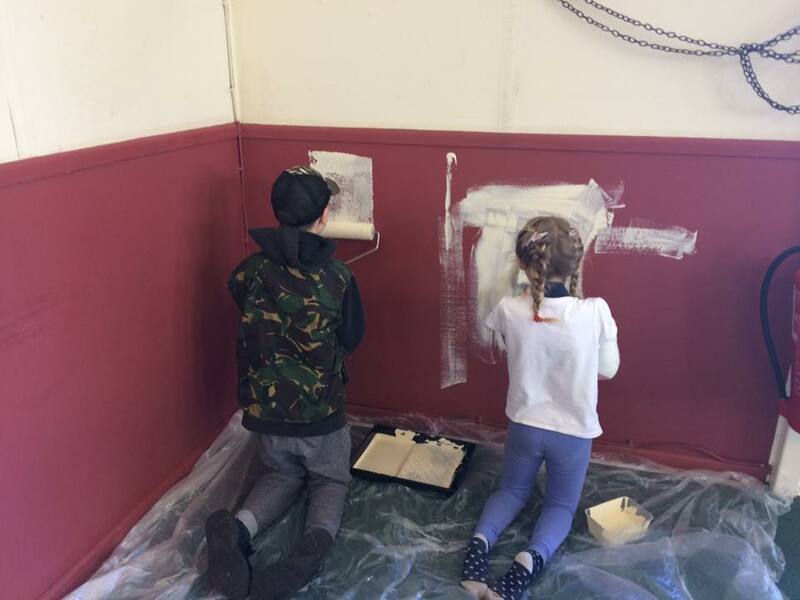 We’ll be back at the Methodist Centre on Sunday 9th April for equipping and growing our family on a mission..Here’s some of our awesome kids hard at work!